"Xbox will care as much about which platform you're accessing Game Pass through as Netflix is bothered about which device you're watching The Chilling Adventures of Sabrina on"
If, of course, they subscribe to Game Pass. The weekend's X018 also highlighted Microsoft's biggest challenge with getting Game Pass going. Although Crackdown 3 is Game Pass-bound, the majority of the upcoming AAA games that were shown - such as Devil May Cry 5, Just Cause 4 and Kingdom Hearts III - are not. In an interview with Gamesindustry.biz this week, Take-Two CEO Strauss Zelnick said that although the firm believes in streaming as a viable distribution method, he was concerned about how the business model would work. A few years ago I had a brief conversation with former PlayStation CEO Andrew House about PlayStation Now, and he said that the biggest challenge is finding a way for it to actually make money for those that take part. It's a challenge, he observed, of the other entertainment markets, too. Why would Square Enix make Just Cause 4 available on a subscription service that charges just $10 a month? Would an up-front lump sum, or a 'per hour' royalty fee, cover the lost revenue? Almost certainly not. That's not so true of the indie market, of course. An up-front lump of investment from Microsoft - plus the added PR of being part of Game Pass - could make all the difference to a small team. That's why we're seeing upcoming promising indie projects like Phoenix Point and The Good Life come to Game Pass. Yet for the big third-party studios, it doesn't make sense. At least, not initially. The larger publishers clearly view Game Pass as a viable place to drive back catalogue revenue with games that have stopped selling (such as Deep Silver's Agent of Mayhem). So when it comes to the big reasons to subscribe to Game Pass, it is going to fall on Microsoft. Which is why the company has already more than doubled its internal development capacity in less than six months. 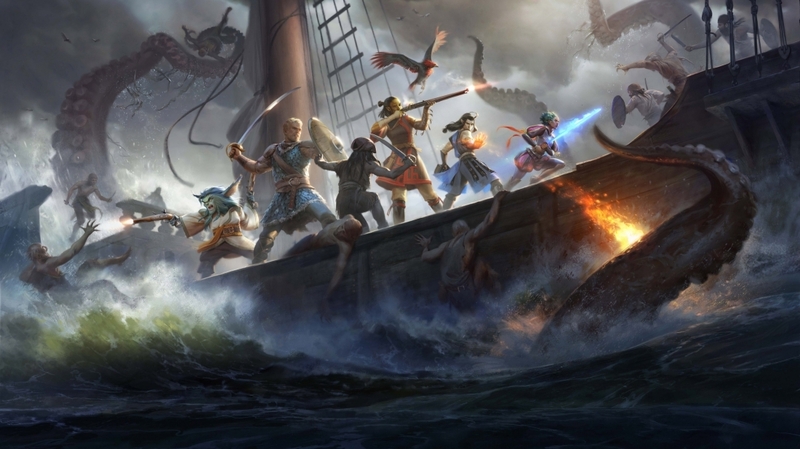 Xbox studios boss Matt Booty says that the primarily aim is to acquire mid-level teams, which can bulk out the Game Pass offering. And most of the companies it has bought do fit into that category (although Compulsion Games perhaps sits closer to the indie side of things, whereas Playground and Obsidian are AAA in size). It's potentially a promising place to be for the likes of Obsidian and Ninja Theory. Gamers may come in for Forza or Halo, but they hang around to experience Pillars of Eternity or Hellblade. These are perhaps games that Xbox fans might not necessarily choose to buy, but as part of a package, they'd certainly give them a play. And with less pressure to deliver unit sales, these creatives can perhaps feel free to try new things. It's how Netflix works. Customers come in for Daredevil and Stranger Things, but hang around for Altered Carbon and other unique properties. Indeed, the whole concept appears to be borrowed from the Netflix playbook. Commission big new shows in-house, add in legacy shows from partners, and sign up some independent projects, too. "Things may be accelerating, but as we move towards the next generation, Xbox will need to keep at least one foot in the past. There will still be $60 games, there will still be consoles and there will still be discs"
There are legitimate challenges ahead. Game Pass games are downloads, and therefore will only run on devices built to play them - such as Xbox One and gaming PCs. This limits their reach. And then there's the two subscription services in the form of Xbox Live and Game Pass, does it make sense to keep both separate? How is Games with Gold going to be differentiated going forward? And if the services are combined together, what does that do to the pricing? Games streaming through the xCloud project is one solution to the distribution problem, but low-latency game streaming won't be available everywhere, at least not for a while. It means that although Game Pass might be the future of Xbox's business, the present is more confused. Microsoft may be determined to make Game Pass its primarily product, but it can't really do that while it needs to sell millions of consoles for people to be able to use it. It may want to move towards a fully digital offering, but while it's reliant on hardware, it needs to keep physical retail on side. And with millions of customers signed-up to Xbox Live Gold, it can't simply merge that with Game Pass. It has to manage both services independently and do its best not to confuse the consumer while it's at it. Transitions take time. This isn't some overnight play. The studios that Microsoft has acquired won't be releasing anything new anytime soon. Things may be accelerating, but as we move towards the next generation, Xbox will need to keep at least one foot in the past. There will still be $60 games, there will still be consoles and there will still be discs. And there will be plenty of time for the likes of PlayStation, Google and Valve to make moves of their own. I don’t see an issue with game pass myself! As a gamer who prefers Xbox I’m as happy now with the system as I was when the Original Xbox was released. I have had both EA’s early access since it was released ( shame on Sony for denying this service to its customer base) as well as Game Pass. Both are well used and I don’t even think about the costs of either as they offer good value! As long as I can buy an Xbox Console and play new and old games on it I’m happy, as I think you will find are most Xbox gamers. For years we listened to PSN users mocking Xbox gamers because of the live subscription, yet now PSN is a subscription service. Expect Sony to follow suit with some form of game pass subscription of their own! @Jeff Kleist: Ahh, I wonder if Sony will be criticised by GamesIndustry.biz in the same way they have criticised Microsoft / Xbox ?